Have Your Best Corporate Golf Experience Yet! 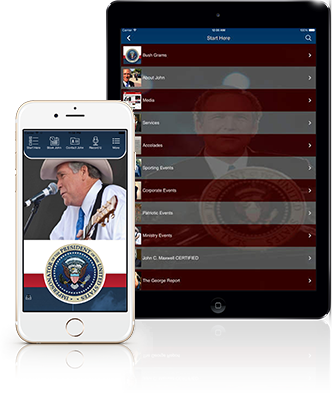 Hey Folks, download my iOS app, called John Morgan as George W. Bush, for news, contact info, entertainment and other useful stuff. "Everyone Felt Better! Every Franchisor needs to hire John Morgan. Every one!" "Thanks for a well delivered tribute. You've got the voice, mannerisms and pacing down!" "Best opening keynote we've had in 25 years!" "We've had this banquet for 50 years and I don't know that I've ever had a performance more well received. His message was much more than funny. It was uplifting, it was encouraging. He made us laugh but he also made everyone that was here feel better about themselves and their jobs. Everyone truly left happy." "Hiring John was the best decision we've ever made! He was the best MC we've hired ever!" "Knows his audience and tied his performance seamlessly into what we were trying to accomplish at our event." "He's better than George W himself! He's Funny, great values, great giftedness, and He will make a difference in your life." 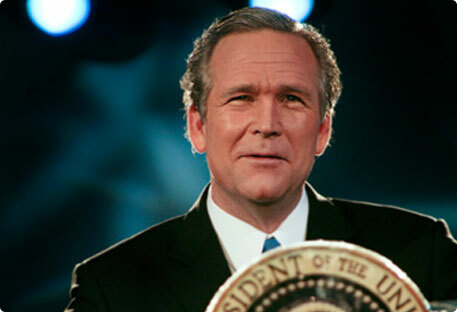 "The image of George W. Bush"
"An extremely exciting speaker. A wonderful message about leadership. We had principals from around the world and the way they received John was unbelievable!" "Your presentation exceeded everyone's expectations and was a absolute home run! You have set a new bar for us." "Phenomenal! He will make your event first class!" "John blew the room away!" "I expected the best and he gave us the best. It was terrific! 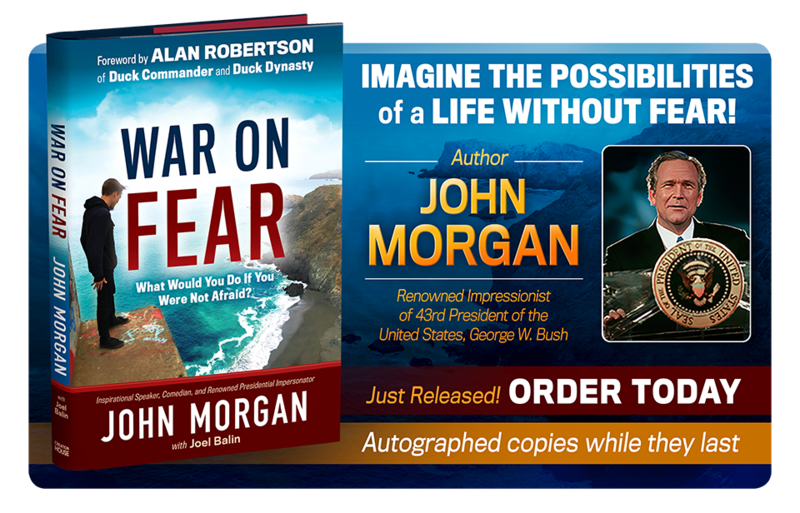 I highly recommend John Morgan."